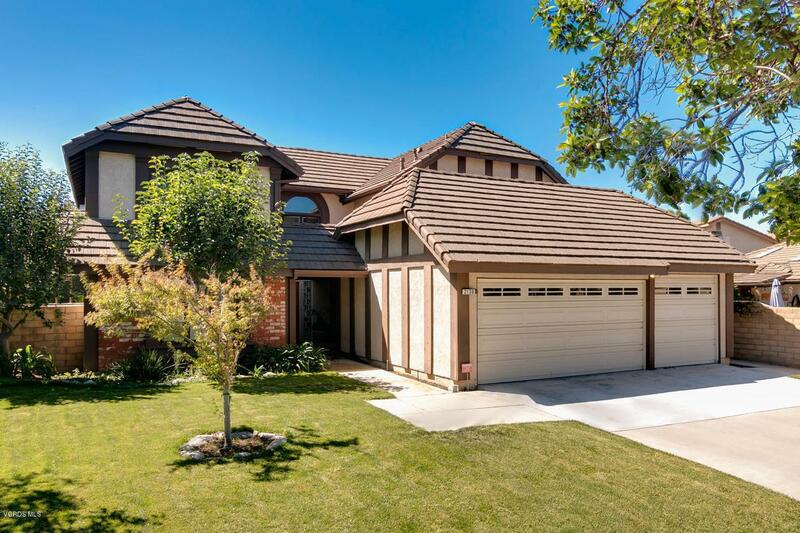 In the coastal city of Oxnard ideally situated in the golf course community of River Ridge, this 2 story, 5 bedroom home offers a flexible floorplan that affords maximum privacy. An entry with glass block accents steps down to a sunken living room with a dual fireplace that also serves the family room, both with expansive views of verdant landscaping, lap pool and spa. Opening to the family room, an upgraded and customized kitchen has all the modern touches - Corian counters, custom cabinetry, indirect cove lighting and much more. The secluded master bedroom suite has a comfortable retreat area with fireplace, dual cedar lined walk in closets and a generous bathroom containing double Pullman sinks, full shower and bathtub. Two of the bedrooms with shared private baths conveniently located on the first floor are easily used as mother-in law or maid's quarters leaving a separate powder room for guests. Tech touches and Extras abound: 2 phone lines, cable TV plus Ethernet in nearly every room - Nest furnace control - Reverse osmosis - water softener - Extensive use of LED lighting - windows installed in 2017. 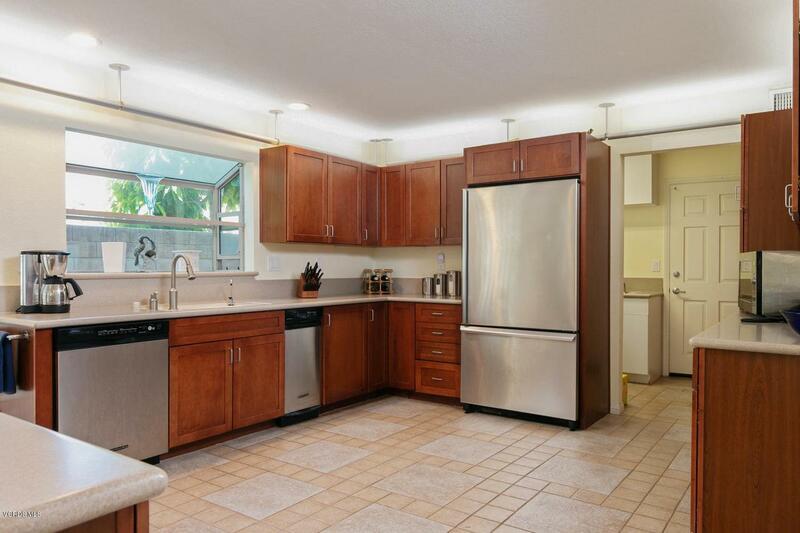 All this and spacious 3 car garage with generous storage. HOA $65/m, includes pool, tennis, clubhouse & spa! 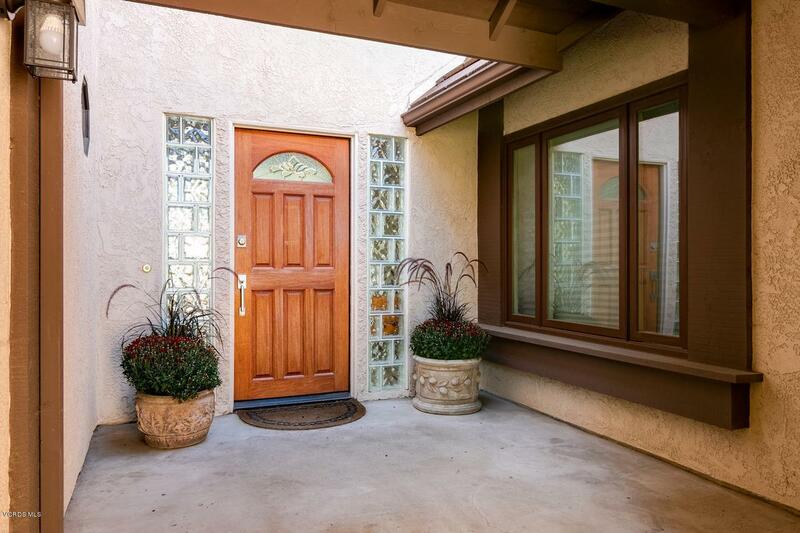 Sold by BRE#01352454 of Socal Real Estate Services. 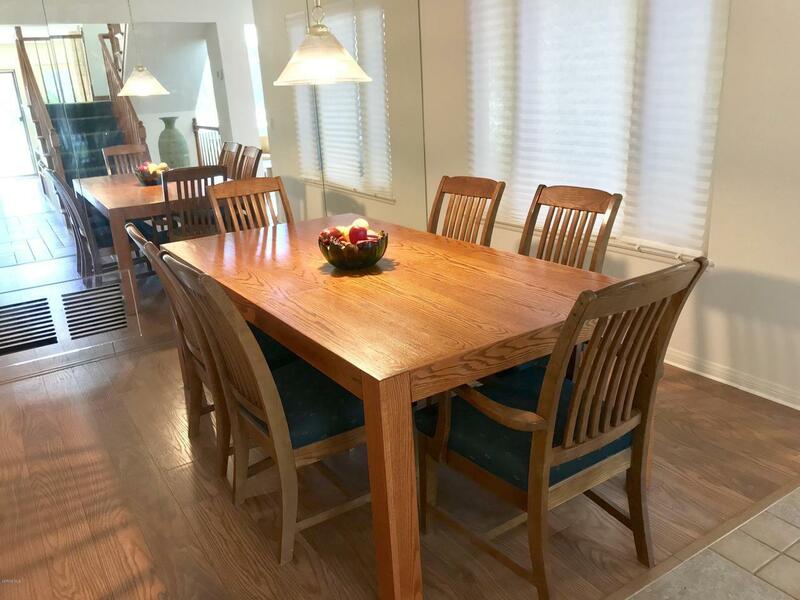 Listing provided courtesy of Armando Gomez DRE#01352454 of Berkshire Hathaway Homeservices California Properties and Gale Wergeland CA DRE# 01106274 of Berkshire Hathaway Homeservices California Properties.